Can a Staycation Really Work? It’s July and August; everyone it seems goes on holiday! But where would WE go that could possibly be better than right here? Our little slice of France is where those in the know flock to in their droves, and it’s a place that is also perhaps a little bit of a secret to those not lucky enough to have heard of this little corner of one of Europe’s most romantic destinations, tucked away on the Atlantic coast and nestled in its own unique micro climate. Around mid-October each year I usually have the same good intentions, to be one of those super-organized people who gets all their Christmas shopping done by November. However, although I may wake each morning with the same great idea, it never seems to materialize. I remember one year when we were in the midst of moving house and I descended on Toys”R”Us on Christmas Eve, panic-buying whatever caught my eye, and ended up with a bunch of presents I would never normally have even considered. Strangely, the children who are old enough to remember that Christmas recall the day with great fondness! However, having said all that, I had thought that this year my organization levels had been a touch above average and almost everything had gone ‘swimmingly’ well. 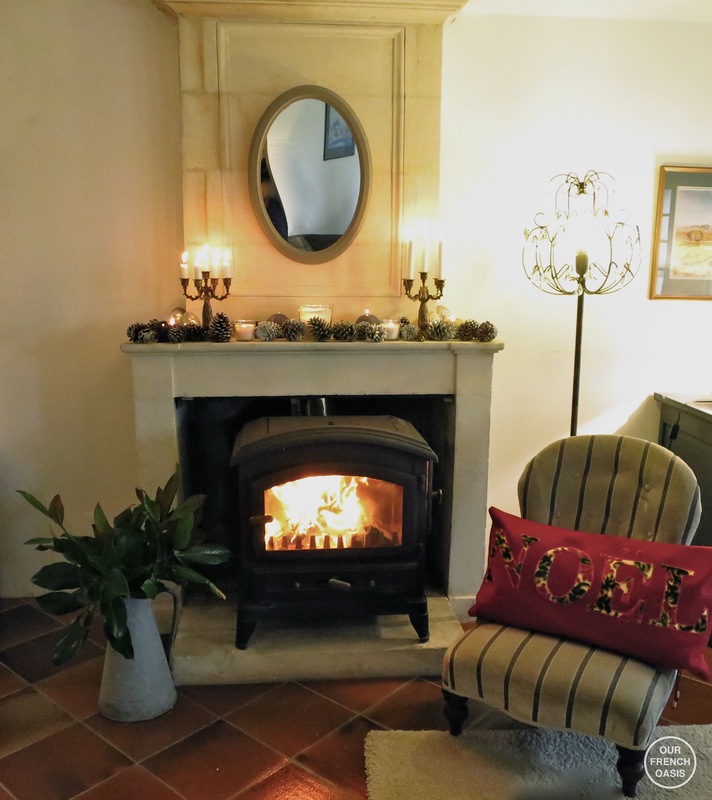 To start with I became French and bought champagne back in September, the month synonymous with the annual autumn French wine sales (Foire aux Vins) and a time when French families stock up their wine-cellars at hugely discounted prices. All the presents are wrapped and family parcels have been mailed overseas. The house is decorated and we even made a gingerbread house but there is one small blot on the my otherwise perfect Christmas landscape – an elusive present. It’s something I bought months ago as part of my plan to be super-woman, which is good, but the only problem is I have no idea where it is hidden, which is bad. I have turned cupboards inside out and unearthed things I didn’t even know we had, but there is still no sign of the elusive gift. I’ve even questioned my sanity; did I really buy it or am I just going completely mad? I know I bought it. I did, I did, I did. I think. Maybe it’s time to take Gigi up on her offer. She has a favourite phrase at the moment, which for some reason she seems to think is extremely funny, and she says in her best Downton Abbey voice (as only a nine year old can…. ), “Would you like a glass of Bubbly?” As champagne has been all over the news recently with the fact that two or three glasses a day can help prevent dementia in later life, I may well take her up on her offer quite soon. Wasting so much time searching for the elusive gift has for some reason made me think of Christmas when I was a child. For me it began when Grandparents arrived and school finished. We always had a party on Christmas Eve; the Christmas tree always went in the same place, and the routine was unchanged year in year out; it always all seemed to run so smoothly! Last week we set off after school one afternoon to choose our tree. We always do this altogether as a family and it involves a lot of discussion and a fair amount of what is usually good-natured disagreement. Rarely do we reach a unanimous decision in less than fifteen minutes and on more than one occasion there have been both referendums, and voting. We check each tree carefully, considering the side view and the back view; is it too bushy, too thin, will it stand tall and be centre-stage for the entire holiday season? 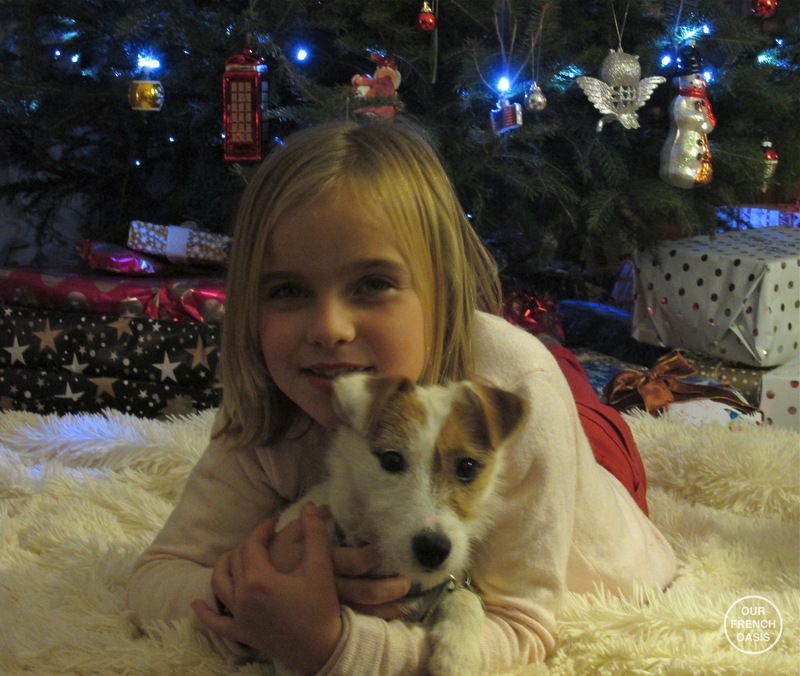 Everyone seems to want different trees for different reasons, and as we have raised five very strong-minded and independent children opinions are expressed loudly and confidently. This year, like all others, an agreement was hard to come by. Roddy took control and organized a vote, Gigi stood on Hetty’s toes and Millie and Jack eventually got their way. Roddy expressed bemused surprise that we had yet again chosen one of the most expensive trees in the entire department, possibly in the whole of France, but although I hate to admit it, I think they chose a fine specimen! 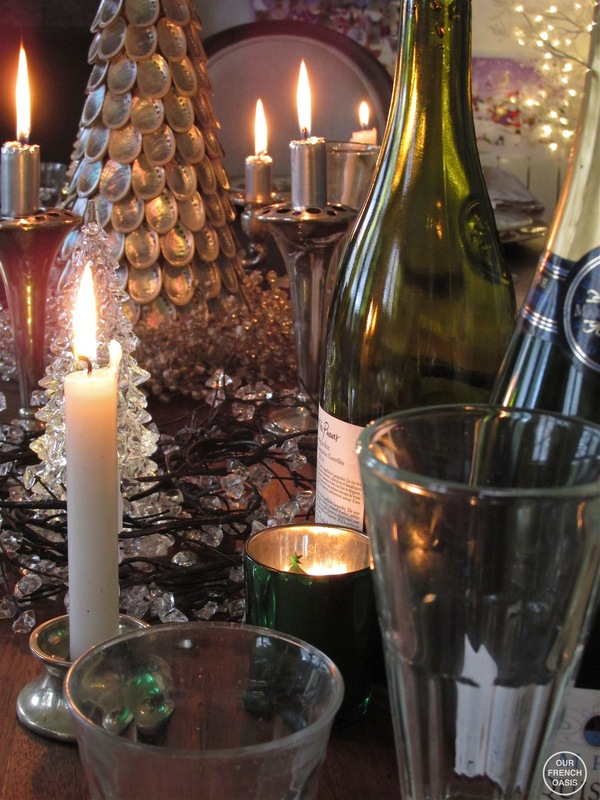 Of course, the fun has only just started; next comes the decorating. 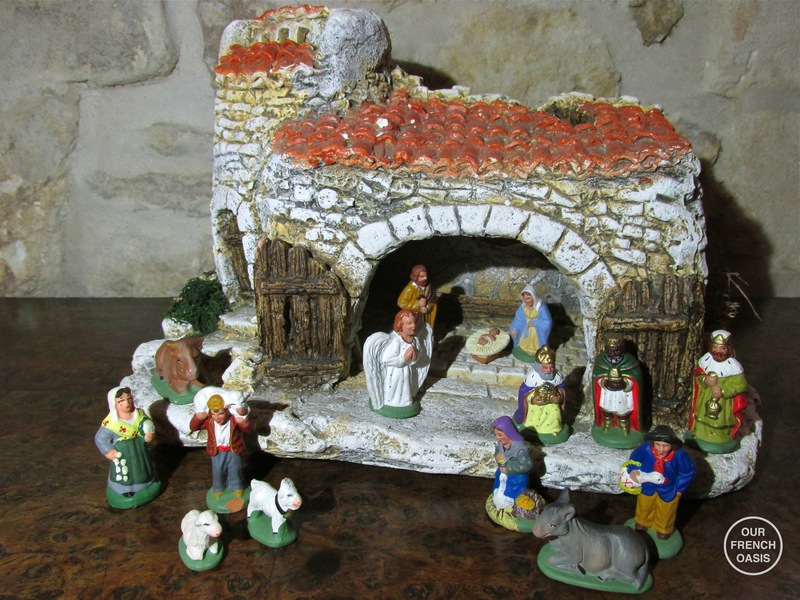 Boxes are hauled in, and we all look out for our old stone crèche that we bought years ago in Provence – it’s a Christmas favourite with the children. They just love placing all the little figures (Santons as they are called) in place and making the nativity scene come alive. Decorating the house is loud and chaotic, but it’s always fun and as the children get older it does get a little easier and fewer decorations seem to get broken each year on unforgiving hard tiles. Ours is a very personal tree as virtually every decoration tells a story. Many are gifts from a dear friend who lives in Connecticut, as each year she sends the children a decoration and as a result they have always been treasured. Along with these there are also baubles they have hand-painted at school over the years, some even with finger-prints and dates. Each and every one of them has a story to tell. It’s a long slow process, and an evening when Slade repetitively belts out “I wish it could be Christmas everyday” and everyone gets a little bit silly! By the end of it there are always a mass of decorations on the bottom and at the front, and the tree is typically left a little bald and devoid of colour at the back and top. But when the house is quiet again and the youngest are tucked up in bed I usually go around tweaking a little here and there! Starting the decorating slightly earlier this year has certainly had it’s advantages, and although the tree may drop a few more needles before the New Year it has definitely made for a more relaxed time. 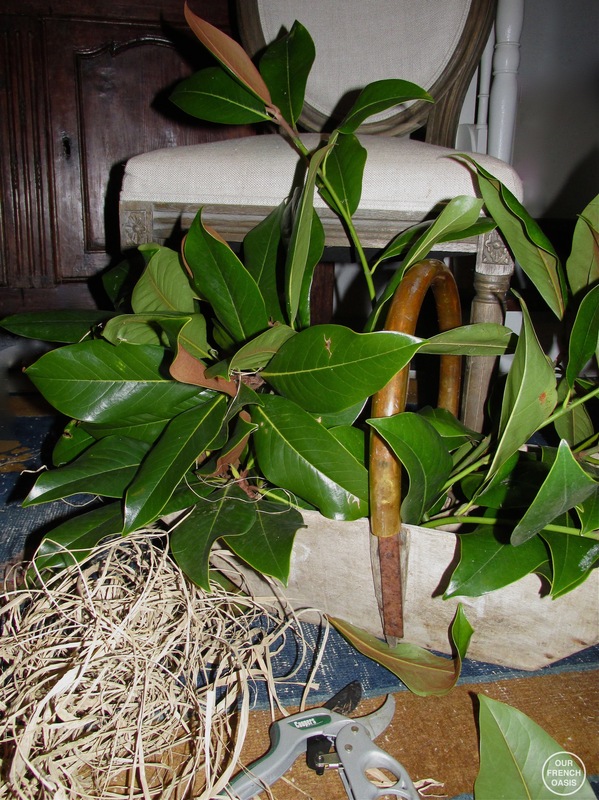 Yesterday I also cut a huge trug-load of magnolia branches which sat in the hallway all afternoon whilst I decided what to do with them! 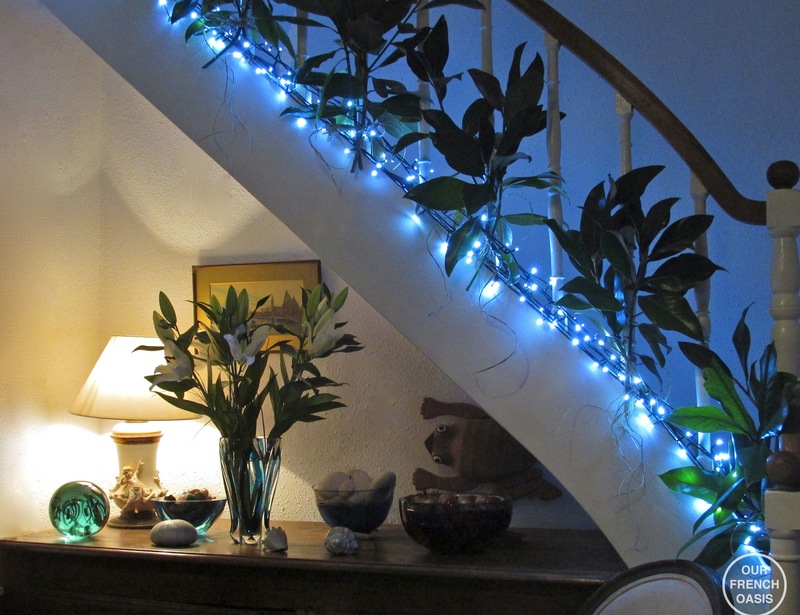 In the end I tied them in bundles up the staircase and Millie wrapped the bottom of the balusters in lights. We were both surprisingly pleased with the effect. Going back to my childhood Christmases, I remember how we always went to church on Christmas morning, how the turkey went in the oven overnight, and when we went for a ride on Christmas morning how our ponies would be festooned with tinsel around their necks. There was something wonderful about trotting along the village lanes when everywhere was quiet and still, and the people who we did see were always smiling, wishing us a very happy Christmas as we did likewise. Presents were always unwrapped after lunch, part and parcel of being a farmer’s daughter. Everyone on the farm had the day off so it was typically just my Father who fed horses and cattle, milked the house cow and checked on stock. For this reason Christmas morning was always busy and presents were opened in the afternoon when everyone could sit down and take time to enjoy their gifts. 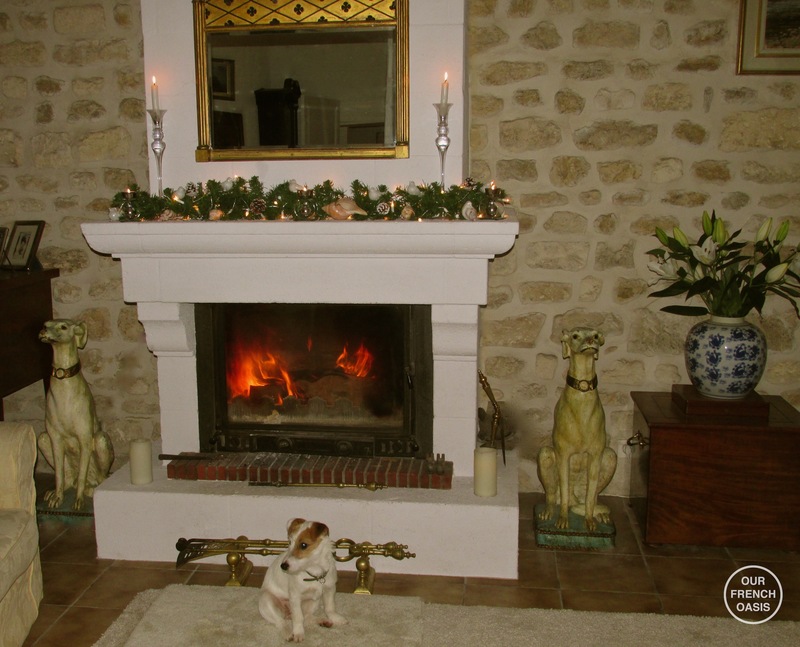 By early evening it was time to go out and once again tend to animals on the farm, after which we would then come in for Christmas cake and settle in front of the fire. A game of cards always took place, and at some stage there would be a break in play for a supper (as if we could really eat any more!) of ham, salad, and trifle for dessert! Over the years we have kept some of our family traditions, and started other new ones of our own. We still unwrap gifts after lunch, everyone has grown to prefer it this way. I’m not sure we know another family with the same routine, but it seems to work well and now that the children are a little older and have a little more patience, they love it too. The morning is all about gifts left by Santa in their stockings and it gives them time to really enjoy these whilst the adults are cooking the big meal, and phoning family and friends. One of the new traditions is something that seems to have been started a few years ago by Izzi, the eldest of the tribe. The children all quietly creep into her room at 7am on the dot, and they sit on her bed with their bulging stockings, opening Santa’s offerings in turn, around and around. When all the goodies have been unwrapped they load them all back into their stockings and then come and wake us up and start the whole process all over again. This means there are seven of us in one bed, which this year will be a complete battle-scene with two dogs! The best part of this arrangement is we do get to have a lie-in on Christmas morning. It’s strange how the tradition of hanging a Christmas stocking can have so many variations. In fact the entire Santa/Father Christmas tradition varies quite dramatically from country to country. Here in France, for the most part Santa leaves presents for the children under the Christmas tree. Alas, we are not French and we stick to our British tradition of leaving a stocking at the foot of the bed. 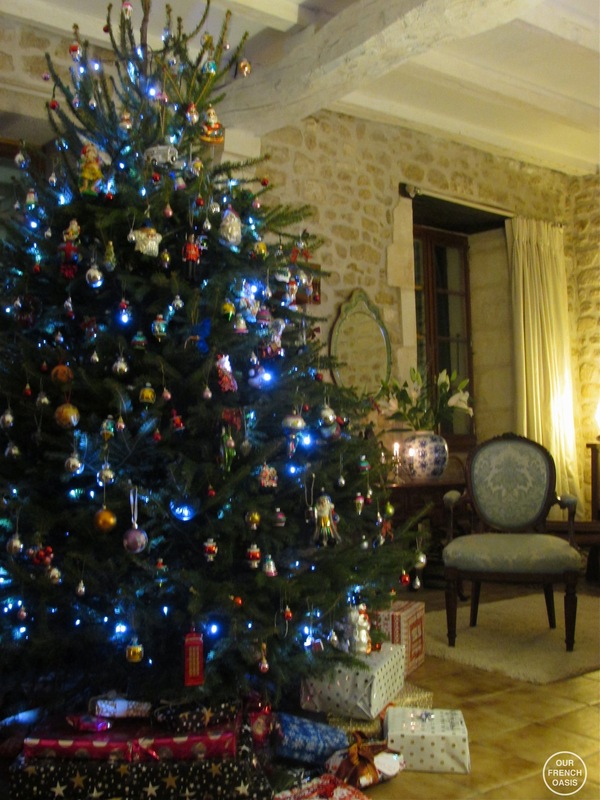 French friends visiting last weekend were amazed to see presents under our tree, “Santa has been already?” they asked incredulously; it took some explaining for them to understand that those were presents we give each other and we traditionally put them under the tree! 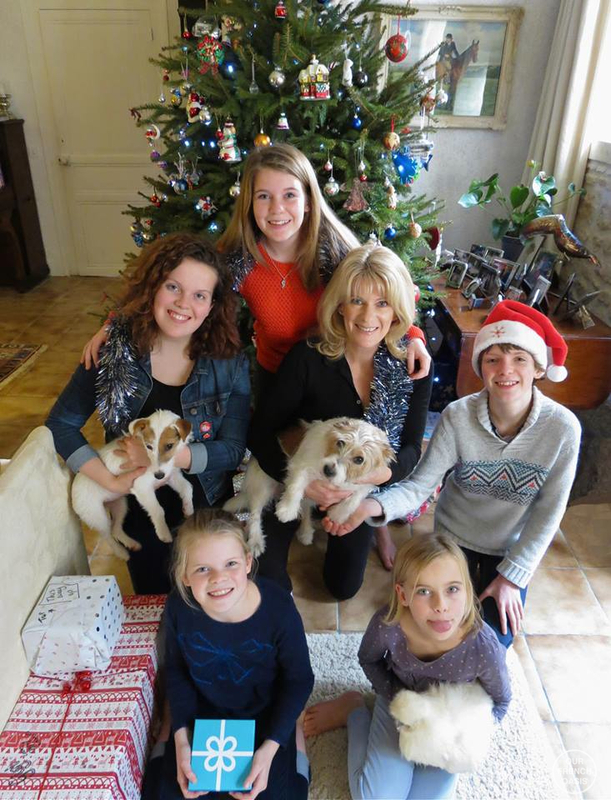 To our surprise, these differences seem of little consequence to children, and both ours and their French friends seem to have an unspoken acknowledgment that Santa Claus brings French children their big main presents, and English children just receive small “stocking fillers”! French children often get left twigs, while English children seem to always receive an orange or a mandarin. As a child, my stocking was a pillow-case and I would wake at some time during the night and by twiddling my toes I would know if Santa had been. 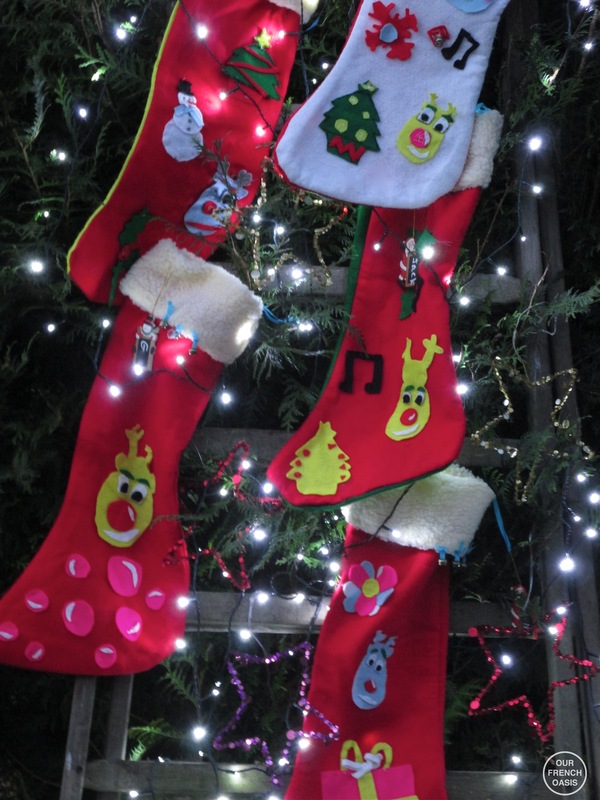 Now it is slightly different as when Gigi was a baby I decided we should make Christmas stockings that the children would treasure forever. Nine years later they are still going strong and once again this year they are ready and waiting to be filled! Just one more day of school until the holidays and our little people are counting down the days and hours, wishing it was Christmas today, not next week, to which I always have the same reply, “I don’t, I’m not ready!”. But I’m getting there! I would love to know if you have any special traditions you keep going and wherever you are in the world; how do you celebrate Christmas and what are your family’s Santa traditions?